Jennifer Bond holds degrees in law, literature, and business and has been called to the Bars of Ontario and British Columbia. She completed her graduate work at the Yale Law School as a John Peters Humphrey Fellow in International Human Rights Law. She is a professor at the common law faculty at the University of Ottawa and Founder and Managing Director of the Refugee Hub. Professor Bond is a leading expert on the policy and operational dimensions of community-based sponsorship programs. She recently served as Special Advisor to Canada’s Minister of Immigration, Refugees and Citizenship on all aspects of “Operation Syria”, which brought over 40,000 government-supported and privately sponsored refugees to nearly 400 Canadian communities. 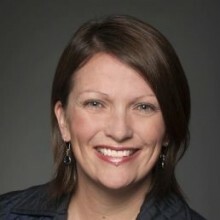 She also co-founded the Refugee Sponsorship Support Program, a Refugee Hub project that trains lawyers to support sponsor groups across Canada, and is currently serving as Chair of the Global Refugee Sponsorship Initiative (GRSI), a partnership between the UN Refugee Agency (UNHCR), the Government of Canada, the University of Ottawa, the Open Society Foundations, and the Radcliffe Foundation. The GRSI is mandated to support the development of new community sponsorship programs around the world. Professor Bond is co-founder of the Refugee Assistance Project and the Canadian Association of Refugee Lawyers, and has served with UNHCR in Damascus, Syria. She has also published, consulted, and lectured extensively about a variety of refugee related topics. Recently, she was awarded the International Commission of Jurist’s prestigious Tarnopolsky Award and appointed to the Order of Ontario for her national and international contributions to refugee protection.